World Wrestling Entertainment, Inc., or the WWE, is the largest professional wrestling promotion in the world. 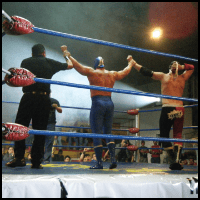 Professional wrestling is a great spectacle that has a massive following all around the world – its biggest following being in America, Mexico, and Japan. Find tickets today!